Mount Zion Health Fund (MZHF), a supporting foundation of the Jewish Community Federation and Endowment Fund, traces its origins to the founding of Mount Zion Hospital in San Francisco at the end of the 19th century. Established to serve the Jewish and broader communities, Mount Zion Hospital was one of the eight original members of the Federation of Jewish Charities of San Francisco (the present day Jewish Community Federation). Over the course of almost a century, the hospital was guided by the values, culture, and traditions of its founders, with the support of engaged community leaders. 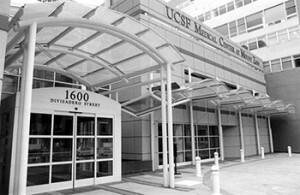 Changes in the healthcare landscape which led many Jewish hospitals to integrate with other healthcare systems provided an impetus for Mount Zion Hospital’s 1990 merger with UCSF Medical Center. The merger led directly to the establishment of Mount Zion Health Systems, Inc., later renamed Mount Zion Health Fund. In 2005, MZHF became a supporting foundation of the Jewish Community Federation and Endowment Fund. In this capacity, MZHF currently manages approximately 35 trust and special funds, upholding the legacy of Mount Zion Hospital. Mount Zion Health Fund reflects the Jewish values and legacy of Mount Zion Hospital by supporting programs and research that improve the physical, emotional and spiritual health of vulnerable populations in San Francisco. Mount Zion Health Fund is committed to advancing the health of the underserved who have limited access to quality health services because of inability to pay, health status, race, religion, language, gender identity, or sexual orientation. Mount Zion Health Fund’s grantmaking is guided by six core Jewish values that are rooted in the history of Mount Zion Hospital and that continue to thrive at the UCSF Mount Zion Campus to this day. Preference is given to projects that embody these core values, and to those that specifically focus on underserved people and address a compelling San Francisco or UCSF Mount Zion Campus health priority. MZHF supports organizations and projects that serve society by addressing community health needs. MZHF supports organizations and projects that seek to correct imbalances, inequities, and injustices in health and healthcare. MZHF supports organizations and projects that build community on the UCSF Mount Zion Campus and across San Francisco. MZHF supports educational opportunities that empower the next generation of health leaders at UCSF Mount Zion and across San Francisco. MZHF supports pioneering clinical, research, and educational programs that advance new standards of prevention, screening, diagnosis, and treatment of illness as well as the promotion of health and wellbeing. MZHF supports organizations and projects that demonstrate and promote compassionate delivery of care.